Saving Lives … Via Text Message? Parents have two “New Years”—January 1 and the first day of school. The back-to-school season means it’s time for new clothes, backpacks and school supplies, but it’s also a time to reset priorities and establish new habits for a successful school year. Did you know that Our Children Magazine produces two print editions per year? It’s true! Our Fall 2017 Back-to-School edition includes articles on how to increase male engagement at your school, how to reduce stress when juggling your child’s various activities and more. Read it now. Federal funding for public education programs has remained at 2% of the federal budget for decades, despite the increase in public school enrollment and the rising cost of education resources and services. Tell Congress that our children deserve more than 2%. Sign our petition! For 120 years, National PTA has been a powerful voice and advocate for all children. Become a monthly donor and you can make a difference in the education, health and welfare of children across the country. Win a Playground for Your School! Does your school need a new playground? Culturelle® Kids Probiotic, in its continued efforts to help keep kids healthy, is investing $100,000 to build a dream playground for a school in need. Enter now! Fundraise at Chuck E. Cheese’s and earn up to 20% of sales generated. Plus, Chuck E. will drop by your school or non-profit to promote it! Schedule today at ChuckECheese.com. Free Test Prep for Your Students! Success shouldn’t be determined by a student’s ability to afford an expensive test prep program. March2Success is a free, online course designed to improve student performance in school and on standardized tests in English, math and science. Learn more at March2Success.com. DEADLINE tomorrow! Get $1,000 to host a STEM + Families Math Night. Become a National PTA leader! Submit a Letter of Interest Application. Join us on Facebook and Instagram next week (Sept. 5-8) to celebrate National PTA’s official Back-2-School Week! Use the hashtag #PTAB2S to join the conversation. 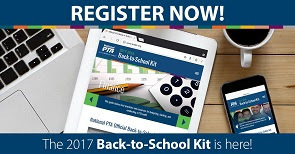 Speaking of back-to-school season, register now for the 2017-2018 PTA Back-to-School Kit. You have the power to #STOPCutsToClassrooms! Have you taken our social media challenge? Completed LOIs must be submitted online by 11:59 p.m. EDT, Saturday, Oct. 1, 2017. To learn more about National PTA leadership positions, visit PTA.org/NLRC, or join us for a webinar Thursday, Sept. 14 at 7 p.m. EDT. Register now! 2. We’ve revamped the PTA Leaders, Finance, Fundraising and Membership sections to make them even more user-friendly. 3. Join us on Instagram tomorrow, Aug. 31 at 11 a.m. EDT for a special #ThrowbackThursday PTA Live! We’ll be unboxing our Kits from previous years. Sign our petition, print out our official sign and challenge your friends to do the same! Visit PTA.org/StopCuts. Looking to step up your PTA’s involvement in school improvements? Join the National PTA School of Excellence program! To learn more, read our blog post about Becoming a School of Excellence or watch our PTA Live! on Facebook about our newest Phoebe Apperson Hearst Award Winners. Apply for a STEM + Families Grant! To be considered, submit a completed application online (We also have the application in Spanish) by TOMORROW, Aug. 31 at 8:00 p.m.
To apply, visit PTA.org/STEM. Save the date for a PTA Live! on Facebook Sept. 22 to see who won! 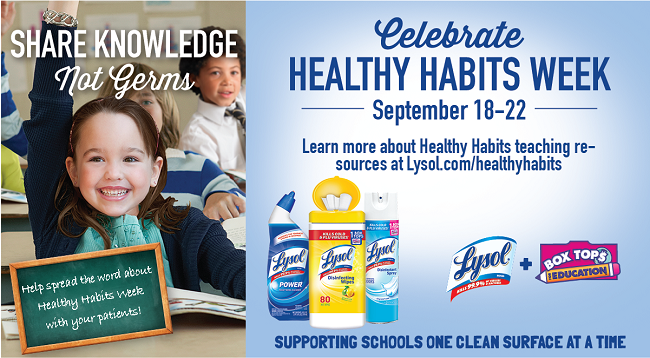 Be A Learning Hero This School Year! When it comes to starting the new school year off strong, you are a learning hero! But do you have an accurate picture of your child’s academic progress and what’s expected in this new year? Here are five free, fun Back-to-School Power Moves to help parents support learning at home, in collaboration with teachers throughout the year: BeALearningHero.org. Become a monthly donor and you can make a difference in the education, health and welfare of children across the country. For more info, visit PTA.org/MonthlyGift.